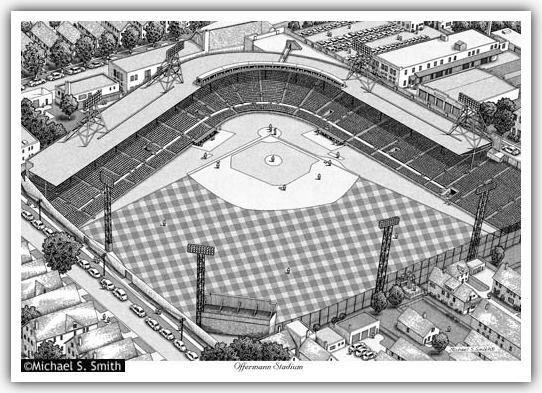 Offermann Stadium: Opened in 1924, Offermann Stadium was home to the Buffalo Bisons of the International League. The ballpark had a capacity of 14,000. The stadium closed in 1960 when the Bisons moved to War Memorial Stadium. Offermann was torn down two years later. It was named in memory of owner Frank J. Offermann in 1935 after his death.